On Saturday the 24th January, 2016 a group of volunteers travelled to Missionvale, South Africa. After a 20 hour trip from Shannon via Heathrow and Johannesburg we arrived safely in Port Elizabeth. We immediately went to the Missionvale Care Centre, where we visited the tree under which Sister Ethel began her mission 28 years ago. Over half of this year’s volunteers were first timers. They were both shocked with their initial surroundings and amazed that one woman could have achieved so much from meagre beginnings. Others are a dedicated group of volunteers who make this annual visit to work, share their knowledge and experience, and to spend time with Sister Ethel. Since my first visit in 2009 I was very excited to return and to see the progress that has been achieved. 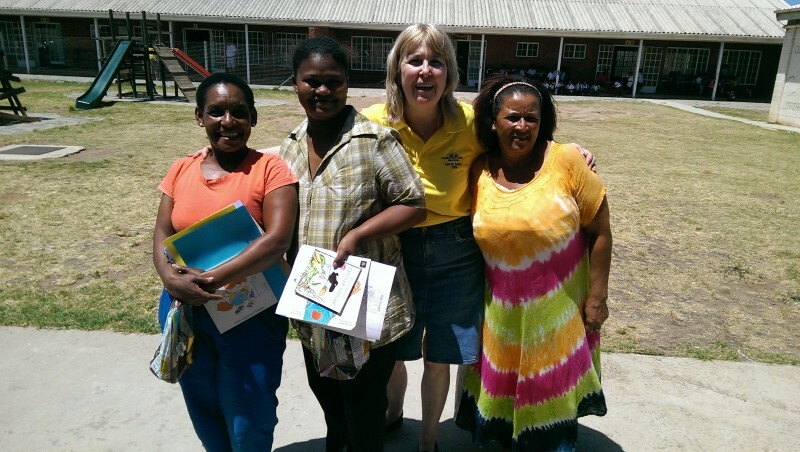 The Missionvale Care Centre operates in the extremely poor shack township in Port Elizabeth. It was founded by Sister Ethel Normoyle a native of Co Clare, from humble beginnings under a tree donated by a resident of Misssionvale. It has grown into a centre which provides love and care for the poor and destitute, with particular emphasis on those living with HIV/AIDS. It remains true to her original vision and is still managed by her and a Board of Directors. Prior to heading out to Missionvale I communicated with the staff and Principal of Missionvale Primary School about the possibility of meeting parents and offering workshops in Family Learning similar to the work in Clare. This was agreed and plans were made to run a number of workshops during the visit. I had the opportunity to meet a large group of parents and in particular grandparents who look after about fifty percent of the children of Missionvale. – Providing fun learning opportunities based around the home and family. – Encouraging positive attitudes and further participation in learning. – Explaining how parents can help with homework and study skills. – Promoting greater engagement with books and stories at all ages. – Making a book for a child, showing how simple home-made books can incorporate many aspects of learning. Clare Family Learning Project believe that families are the first and most important teachers of young children, and our primary activity is to support adults who have low levels of literacy to help their young children develop their early literacy and learning skills. These rural families are particularly disadvantaged living in poverty which results in hunger and malnutrition, and having to face the devastating effects of HIV+ AIDS in their communities. In addition, homes have few literacy resources, families mostly share stories and information orally rather than through the written word, and generally rural environments are print poor. Family learning highlights the impor­tant role of parental involvement. Many parents do not realise they play such an important role in their child’s education, especially parents of children aged zero to three. The amount of oral interaction and reading happening in and around the home impacts hugely on the child’s later achievements in school. 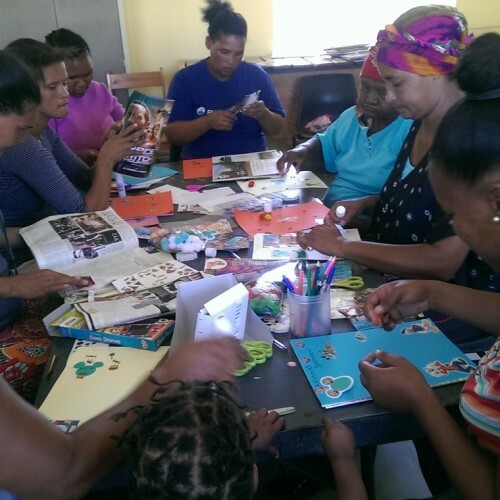 Giving learners the opportunity to attend a family learning course in a non-pressured, non – competitive environment that Family Learning provides, gives a space to connect with learning through creativity and shared experience. Family Learning encourages a positive space in which learners can share their knowledge with the group and assist others from their own communities. It is impossible to disconnect the social bonding and networking that takes place in the class through the sharing of knowledge, materials, and problem solving. This builds a sense of community and individual confidence in skills and possibilities for future learning.